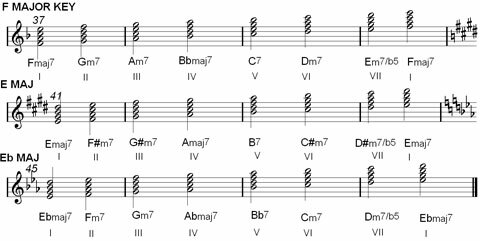 Musical chords derive from the scale’s harmonization: it means superimposing notes over a scale’s degree by thirds. Every scale can be harmonized, but western music bases above all on major and minor scales’ harmonization. 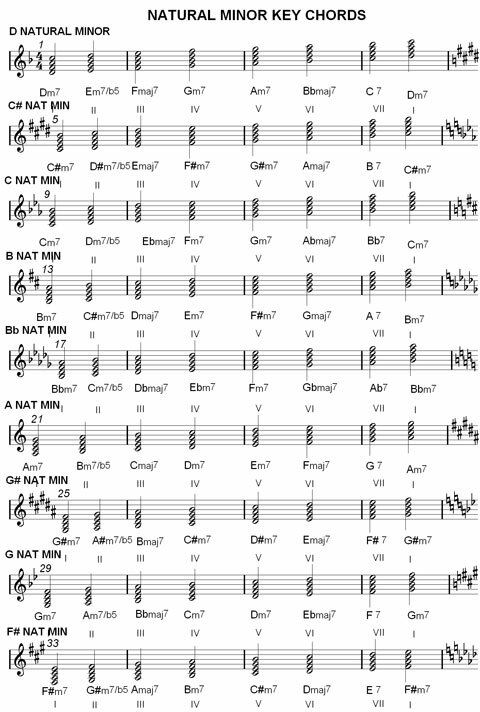 Here are all chords of each Major and Minor (Natural, Harmonic, Melodic ) key. 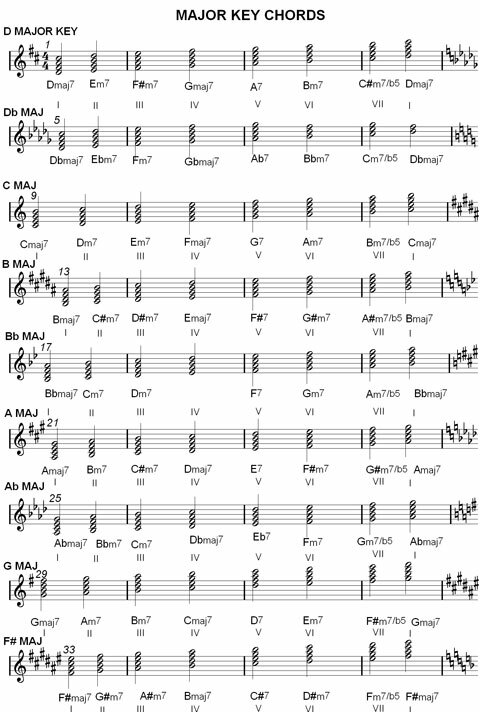 You must know and play them, music bases (above all) on these chords. 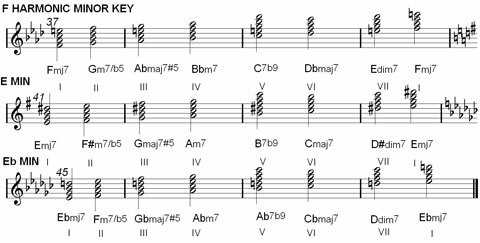 Major key has two major seventh chords on I and IV degrees; there are minor seventh chords on II, III and VI degrees while dominant 7 chord is on V. Half diminished chord is on the VII degree of major key. I, II or IV, and V are the most used chords. 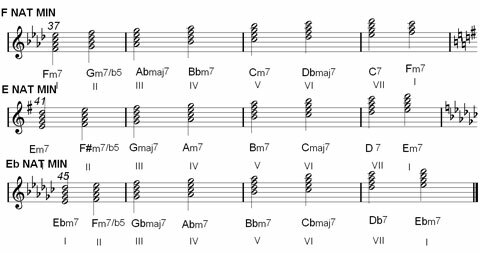 Classical pop progressions are I – VI – IV – V or I – III – II – V. However, in music you can find every combination of all these chords. Harmonic minor key is the classical minor scale; I think it is the true minor scale because the natural minor ones is similar to the major scale while melodic minor scale is less used. 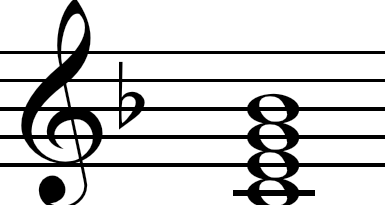 This scale has minor major seventh chord on the first degree; there are major chords on III and VI; half diminished chord is on the second degree, diminished 7 on VII and minor seventh is on fourth one. Dominant seventh chord is on V and it has also minor ninth and minor sixth! 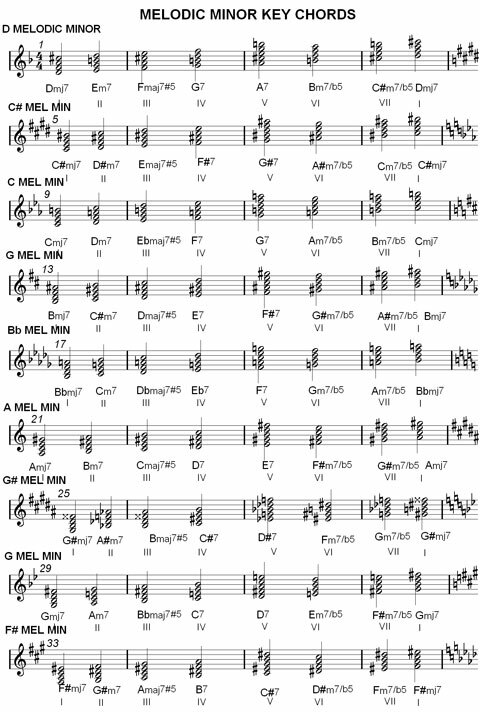 These chord charts are the harmonic base of classical, jazz and pop music. They derive, above all, from J.S. Bach but also other great classical composers. Seventh chords are complete chords, in the sense that they have the main notes that determine the harmony of a chord. 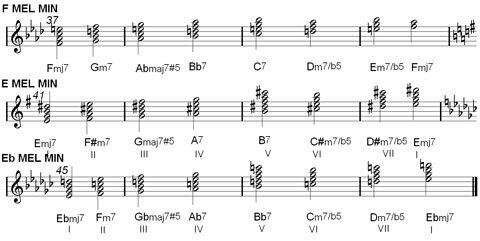 The fundamental, the third, the fifth and the seventh (said “chordal notes”) does understand the key and the type of a chord. Besides they may determine, comparing with the neighboring chords to what key it belongs and then from what scale’s degree is produced. In my pop blues music, I use nearly only seventh chords that have a complex but non too dissonant sound. 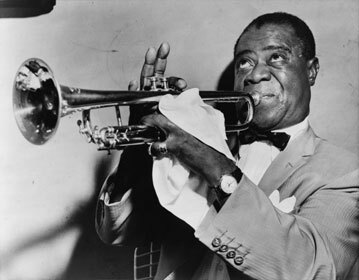 You can learn everything about improvisation reading articles, watching tutorial videos and listening solos published on the Web. Internet offers you a great resource to learn music harmony, theory and improvisation but the best resource is your passion for this art! 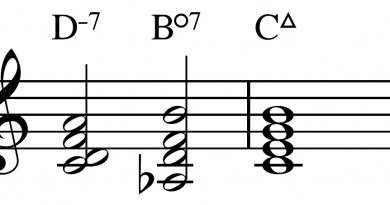 Check your Harmonic Minor harmonization– there’s an error in the first set of chords. You’ve labeled the first set of chords C# Harmonic Minor and it’s actually D Harmonic Minor (obviously, one flat [Bb] makes it Dm). It doesn’t seem to me that you understand modes, or you’re just not explaining them correctly. At the end of the section on Major Scale (Ionian mode) harmonization, you mention to pay attention to the IV as it has an augmented 4th. 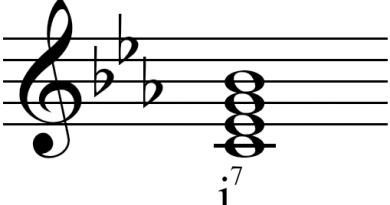 You’re now going into diatonic harmony, and referring to harmonizing the Ionian mode (Major Scale) starting at the fourth interval, which creates the Lydian mode. The Lydian mode has an an augmented 4th interval (1 – 2 – 3 – #4 – 5 – 6 – 7). Also, the Natural Minor Scale has the same chords as the Major Scale “but in different order”, because it is the Ionian mode (Major Scale) harmonized starting on the 6th interval. This is the Aeolian mode. The Harmonic Minor Scales and Melodic Minor Scales are not diatonic to the Major Scale. 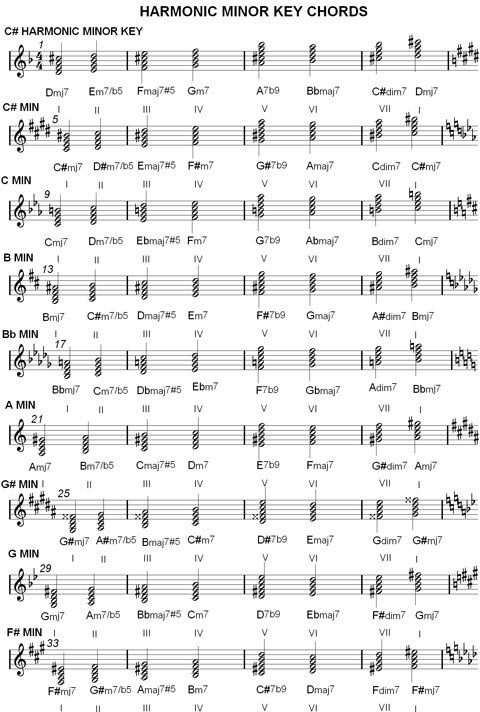 The Natural Minor Scale is diatonic to the Major Scale/ Ionian Mode, hence it is a referred to as the Aeolian mode. The importance of this cannot be understated. 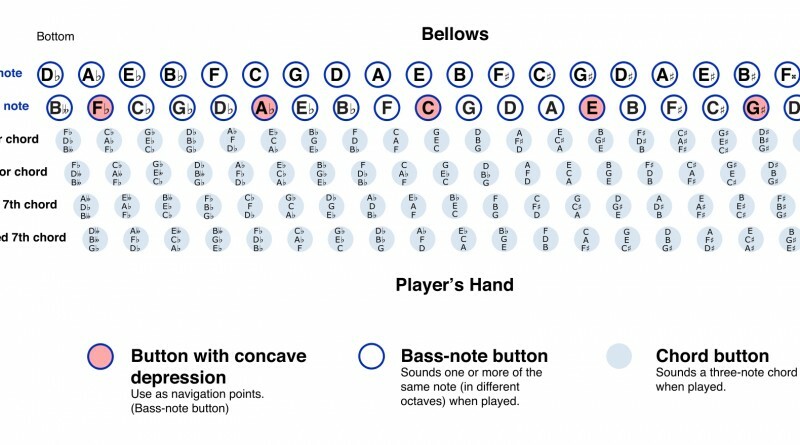 Also, there’s a typo in your Harmonic Minor Scale harmonization: You’ve labeled the D Harmonic Minor harmonization as the C# Minor Harmonization. 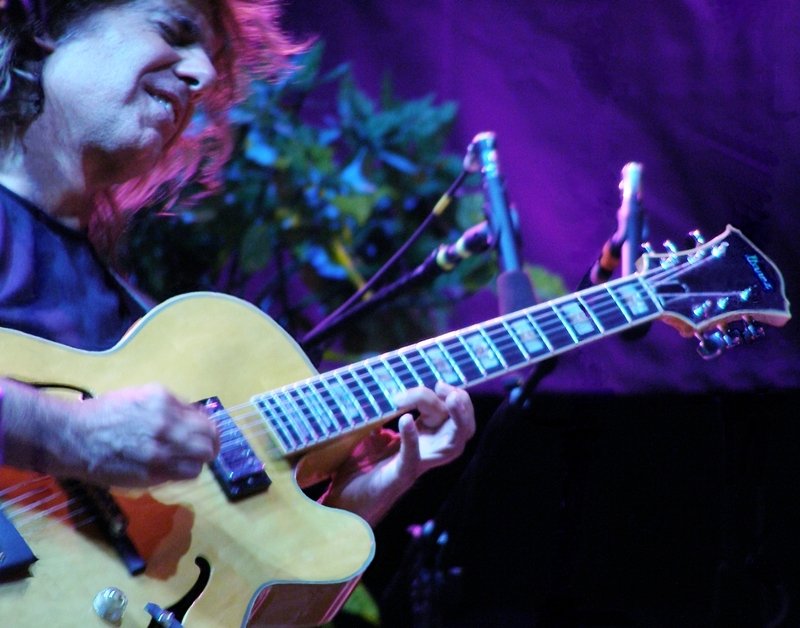 Again, it’s extremely important to point out that the Harmonic Minor and Melodic Minor Scales are NOT diatonic to the Major Scale /Ionian Mode (in other words, the Harmonic Minor and Melodic Minor Scales are not derivative of the Major Scale– that is why they are called scales, and not modes. DLB, thank you for you comments. Sure, Harmonic Minor and melodic minor scales are relative scales of a major scale. The are NOT diatonic to the major scale. For example, A melodic minor scale is NOT diatonic to C Major Scale. But A natural minor scale is diatonic to C major scale. 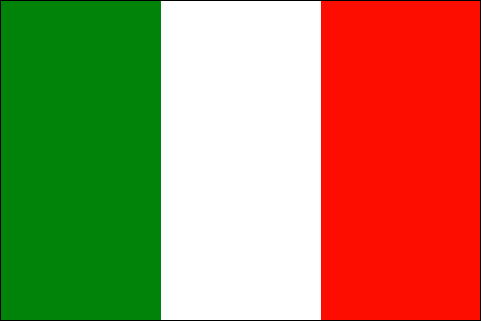 We only can consider C Major scale as Ionian mode and A natural scale as Eolian Mode. 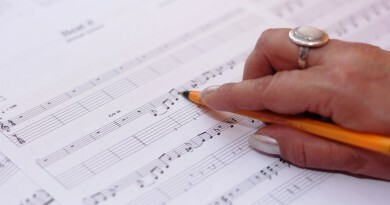 I suggest to pay attention when you compose or improvise to the tonal function of a chord (F Major is different if it in F Major Key or in C major Key, for example). This is written in this article. Yes, I must correct that a typo error. I’ve not written that “the Harmonic Minor and Melodic Minor Scales are NOT diatonic to the Major Scale /Ionian Mode”.